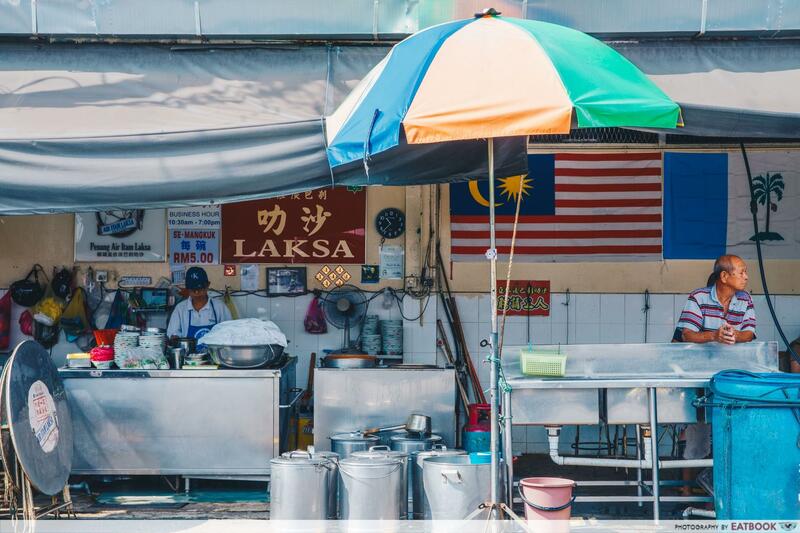 Penang has long been known for its hawker food, and you can’t call yourself a foodie if you haven’t been there for some food hunting. 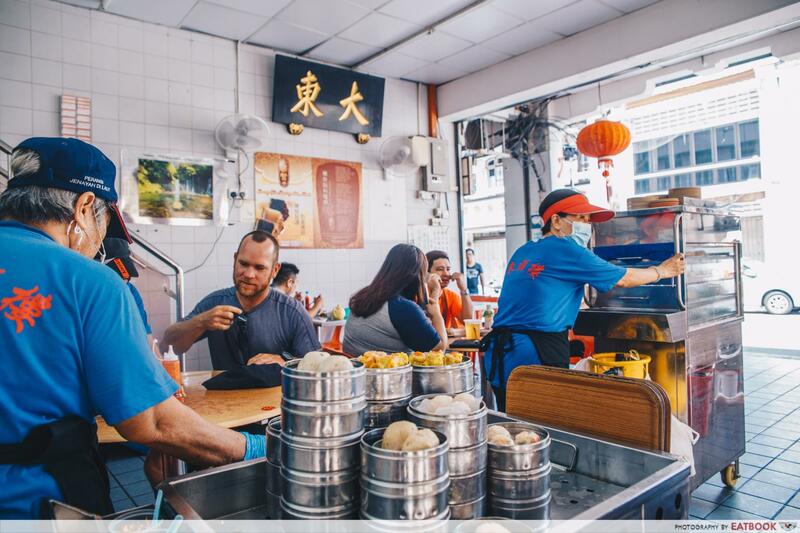 Peppered around Penang are eats that tempt you with delicious wafts and long queues that pull us Singaporeans in like clockwork. 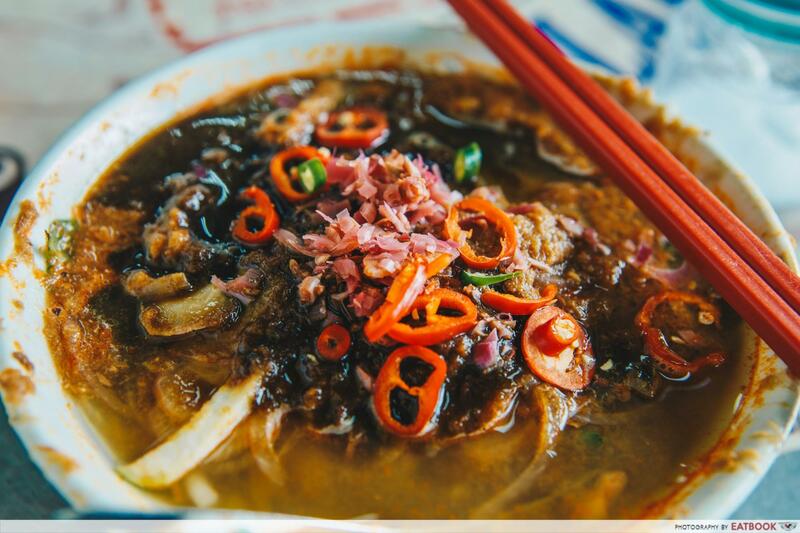 Here are 10 die die must try Penang hawker food stalls that are not to be missed. Ah Leng Char Koay Teow is a favourite among both locals and tourists. 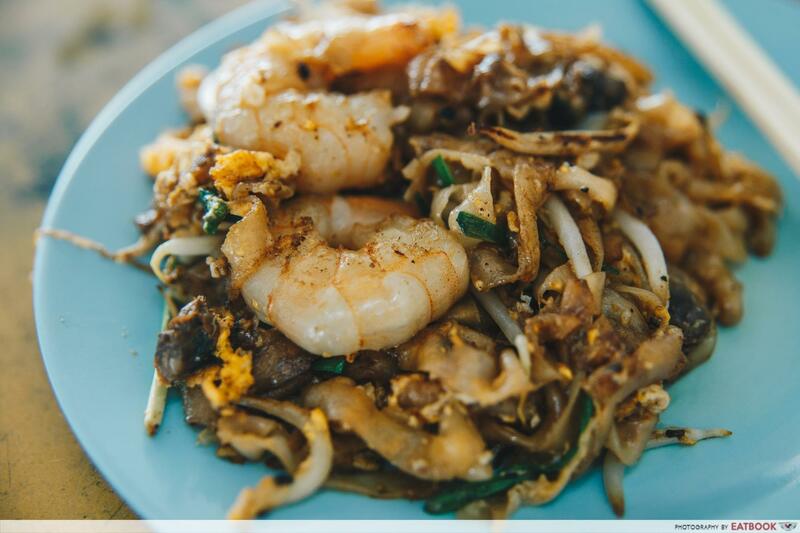 The char kway teow in Penang, in general, is not to be compared with the one we have in Singapore. It is drier and lighter in colour. 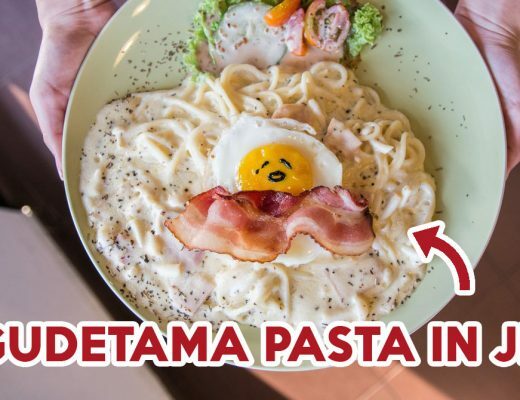 They also have an option for adding duck egg, and the rarity of duck eggs in Singapore makes eating this dish all the more enticing. A plate of regular char kway teow sets you back RM8.50/~S$2.86, but we highly recommend switching the chicken egg to duck egg for RM0.50/~S$0.17. The char kway teow is generously filled with aromatic wok hei and the duck egg bits added a slight creaminess to the dish. The taste of this still lingers in my memory. I call dibs on opening a duck egg char kway teow stall in Singapore! This one’s for the cheese lovers. 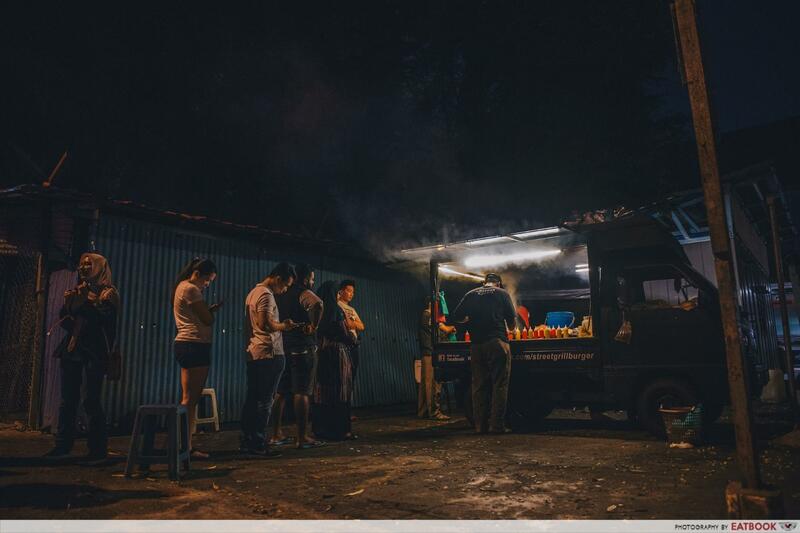 Street Grill (Burger Bakar Penang) operates in the dark. It is hidden in plain sight but those who seek it, find it. Keep your eyes peeled for a snaking queue and smoke billowing from within the food truck. 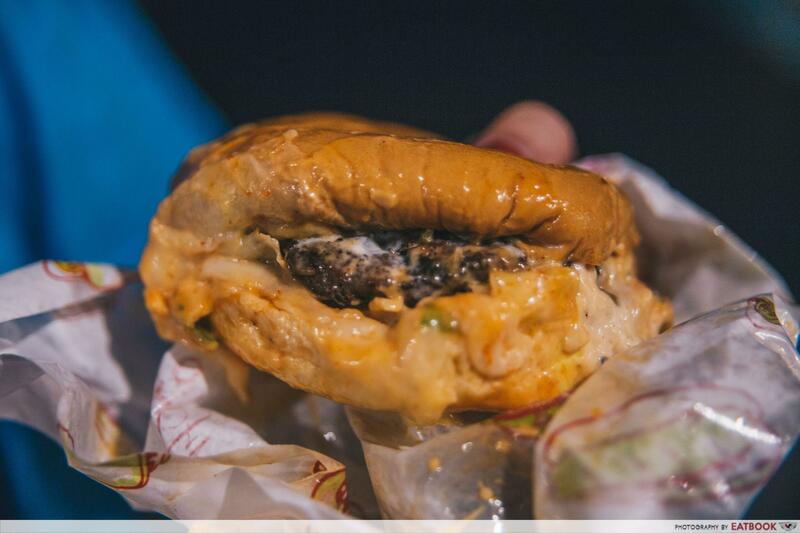 “Burger Bakar” translates to “burnt burger” in Malay. Its patty and buns are cooked over a simple charcoal grill before being decorated with a medley of sauces and vegetables. At only RM6.50/~S$2.18 for a good-sized chicken or beef burger, this food truck lives up to Penang’s esteemed food cred. Add cheese at RM1/~S$0.34, or drench your burger in a waterfall of melted cheese at RM2/~S$0.67. Travel back in time at De Tai Tong Cafe. Dim sum is served in the old-school way, with an all-woman team pushing carts of stacked metal steamers around the premise. The super friendly and helpful aunties were decked in royal blue polo tees and bright red caps, reminding me of spirited Samsui women. 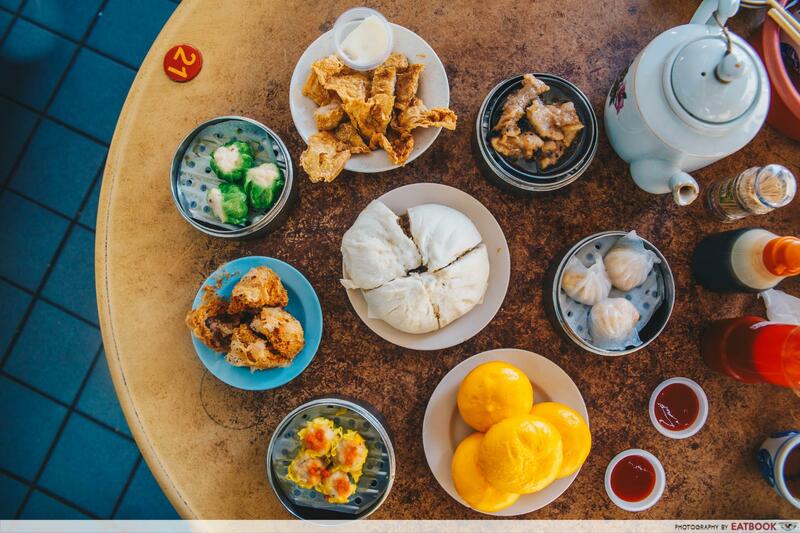 Around since the 1950s, De Tai Tong has a massive variety of dim sum. My favourite was the steamed spare ribs (RM5.90/~S$1.98). Every chunk of meat was surprisingly soft, each a savoury parcel nicely balanced by salty black beans. Two of my colleagues swore by the liu sha bao (RM2.20/~S$0.74). The liquid gold, which filled the soft buns to the brim, was a delicious hodgepodge of sweet and salty flavours. Other highlights include fried yam with char siew (RM4.40/~S$1.48) and big pau (RM4.40/~S$1.48). 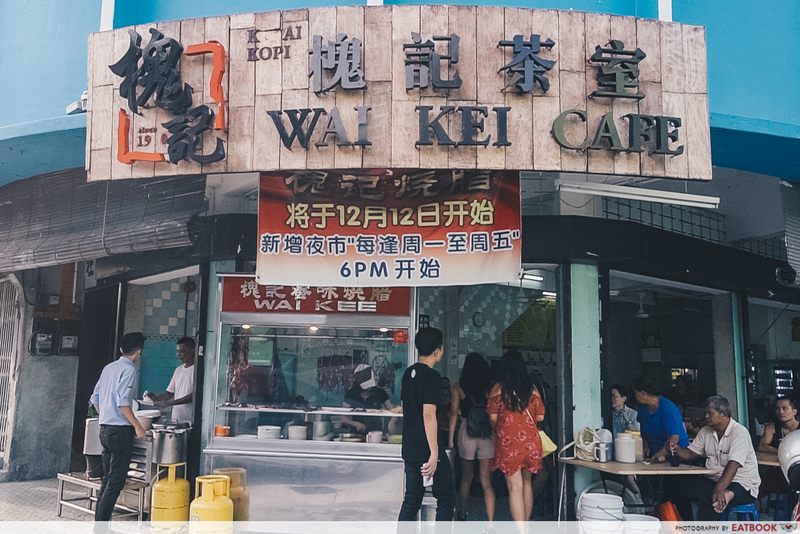 Wai Kee Cafe is famous among the locals and there’s always a queue for their well-known char siew, roast pork, lap cheong, and roast duck. This place is a real gem. Even though they are open until 2:30pm for the lunch shift, some items might already be sold out by noon. We made the mistake of arriving at 1pm and had to make another trip down at 6pm for the dinner shift as they were out of char siew by then. 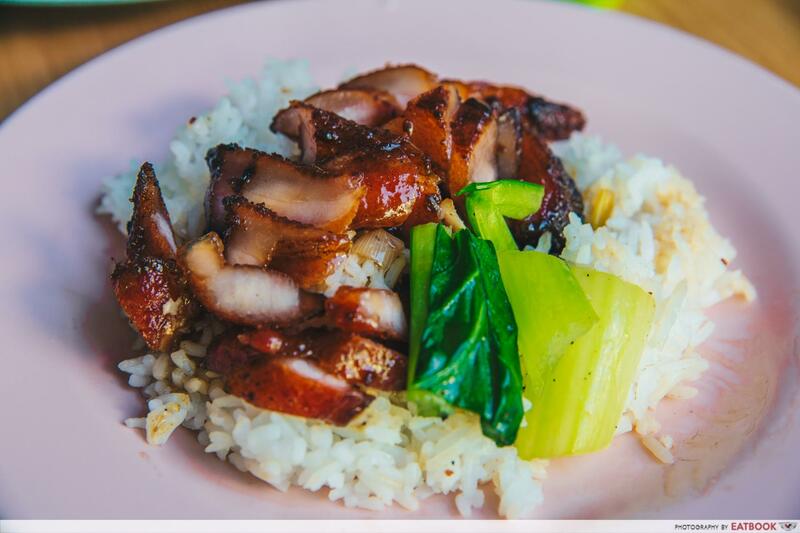 We ordered char siew rice (RM7/~S$2.35), roast pork rice (RM7/~S$2.35), and roast duck rice (RM8/~S$2.69). All four of us liked the char siew one the best. It had a killer fat-to-meat ratio that made each chunk of meat almost like juicier and more aromatic bak kwa. 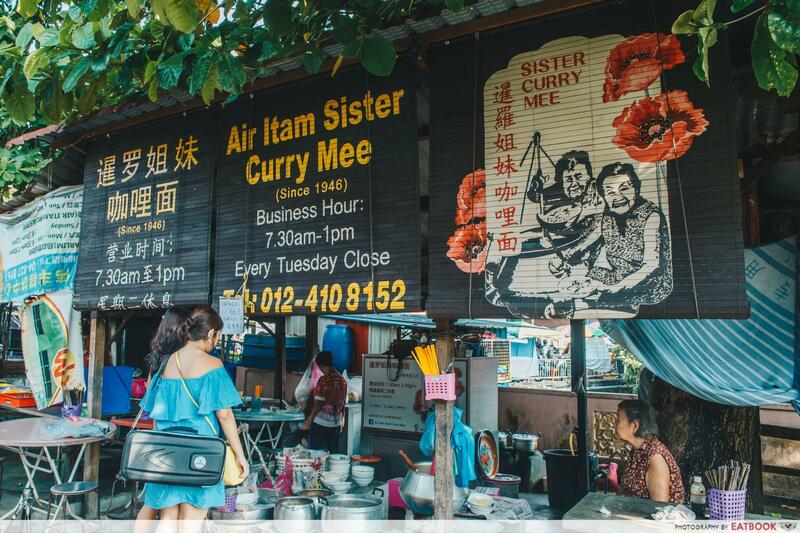 Opened in 1946, Air Itam Sister Curry Mee has stood the test of time. The bowls of curry mee they serve are unrivalled and worth making a beeline early in the morning for. 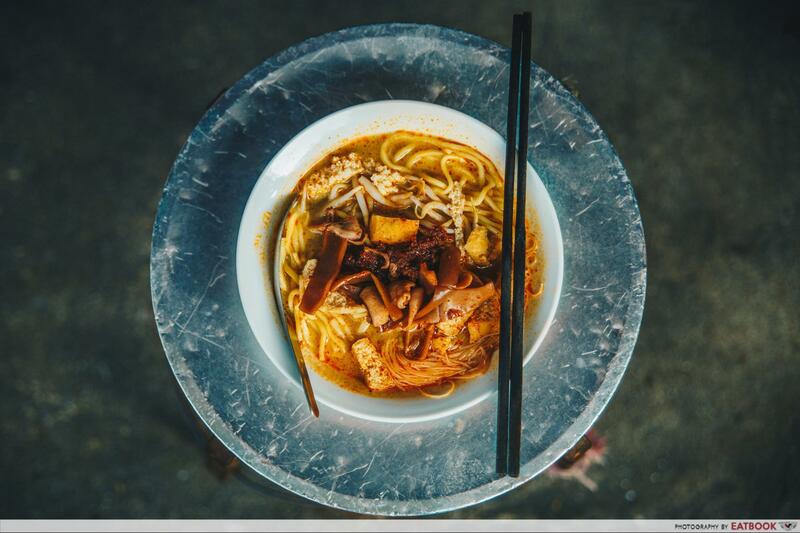 Enjoy a bowl and immerse yourself in Penang’s street food vibes while sitting on rickety metal stools by the roadside. 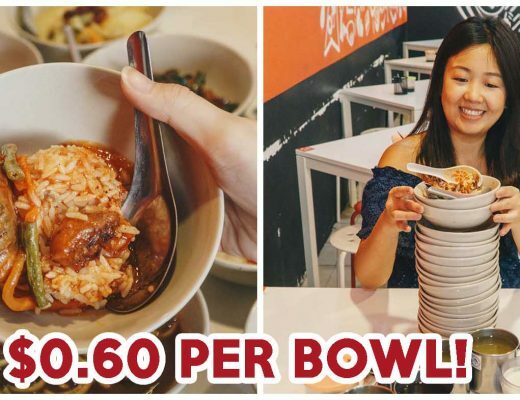 A small bowl of curry mee is RM4/~S$1.34 while a large one is RM5.5/~S$1.68. Each bowl comes with bee hoon and yellow mee topped with tau pok, bean sprouts, sambal chilli, and curried cuttlefish. The soup base reminded me of the curry mee I used to have every week in primary school, but with a whole lot more depth in flavour. The cuttlefish was also tender and extremely moreish. I challenge anyone to take more than 10 mins to finish this! A short walk away from Air Itam Sister Curry Mee is the famous Penang Air Itam Laksa, located at the junction of Kek Lok Si Temple. Fame comes with a price for them – similar stalls selling Penang laksa have also sprouted nearby. If it was not for my sharp-eyed colleague, we would have had our assam laksa from a different stall. This assam laksa (RM5/~S$1.67) is a cacophony of flavours that surprisingly work. With a spicy soup base of minced mackerel and sour tamarind boiled over a constant heat for hours, this bowl definitely does not lack in the taste department. Pink ginger flowers, chopped red chilli, and a dash of dark prawn paste were added atop as well, so make sure to give the bowl a good stir. 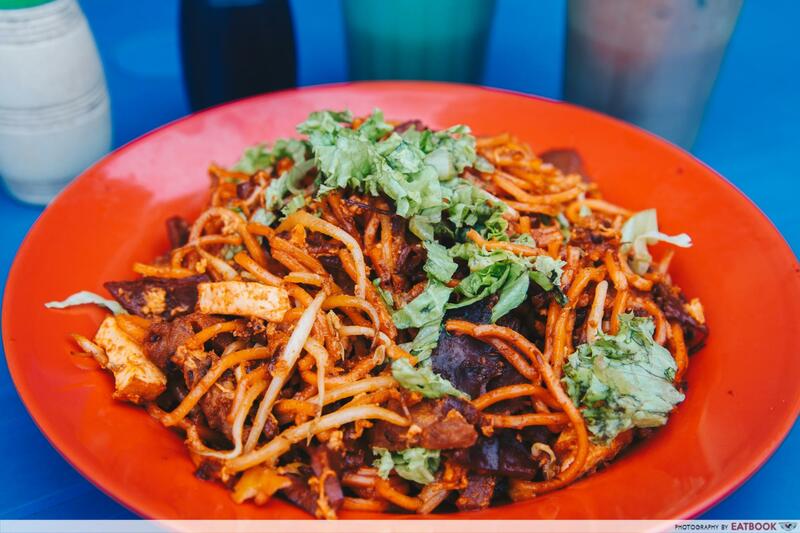 Another famous Penang hawker food to try is Bangkok Lane Mee Goreng. This father and son duo is no stranger to the food scene in Penang. 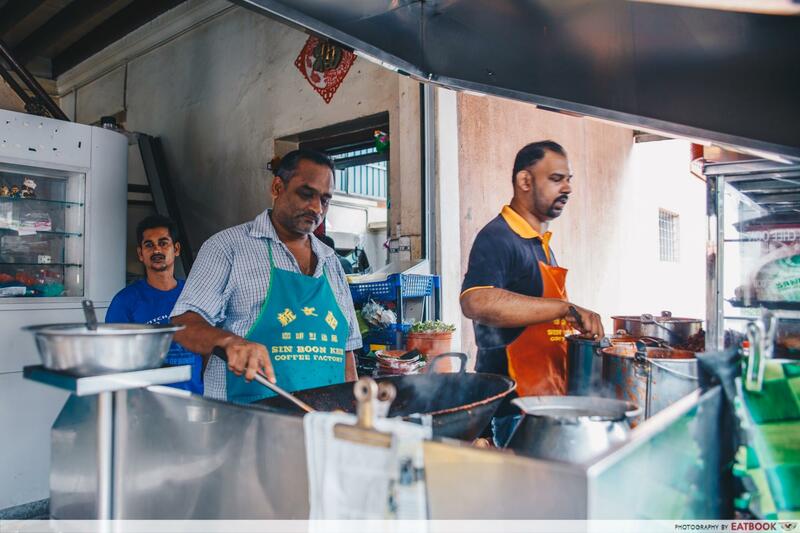 They are well-known not only for their sotong mee goreng but also for their friendly disposition. Working the camera is second nature to them as each fry of the noodles calls for some wok action, great for a slow-mo video. We ordered their Mee Goreng Tambah Sotong (RM7/~S$2.35) and were pleasantly surprised by the generous amount of sotong shreds under the beautiful mess. The sotong was unexpectedly tender and well-marinated. With its spicy overtones and sweet yet savoury undertones, this hearty plate of mee goreng is a great dish to have. 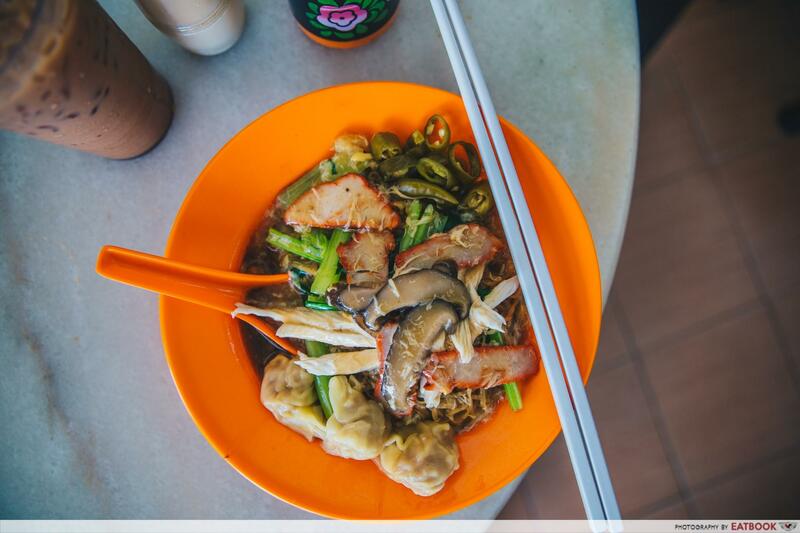 My ears perked up when I heard about wonton mee that is so good you can “easily devour it in a split second”. 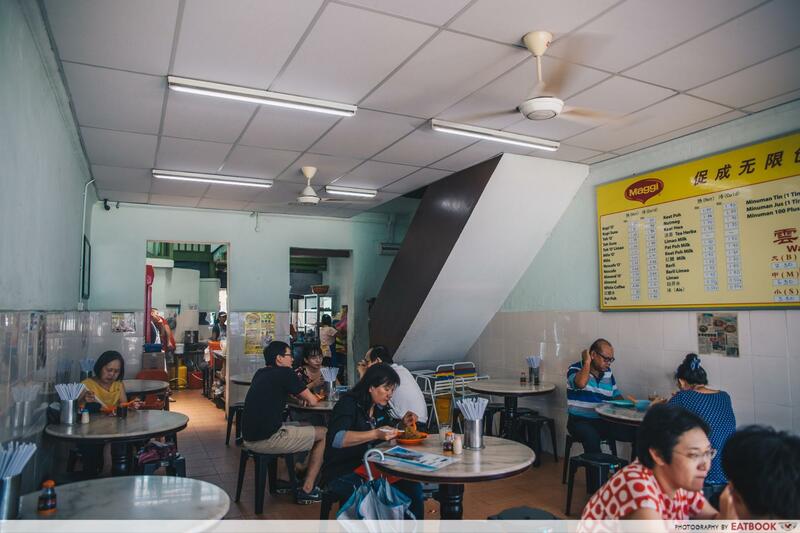 Wan Tan Mee House is a brightly lit standalone coffee shop directly opposite a police station; be careful not to walk into the wrong coffee shop like we did. Their wonton mee (RM5.50/~S$1.85) comes with toppings such as shredded chicken, sliced char siew, blanched vegetables, braised mushrooms, and steamed wontons. A thick, eggy sauce is finally ladled over. Each mouthful is smooth and flavourful. This is best when eaten on an empty stomach; it sits like a warm blanket on a cold day. 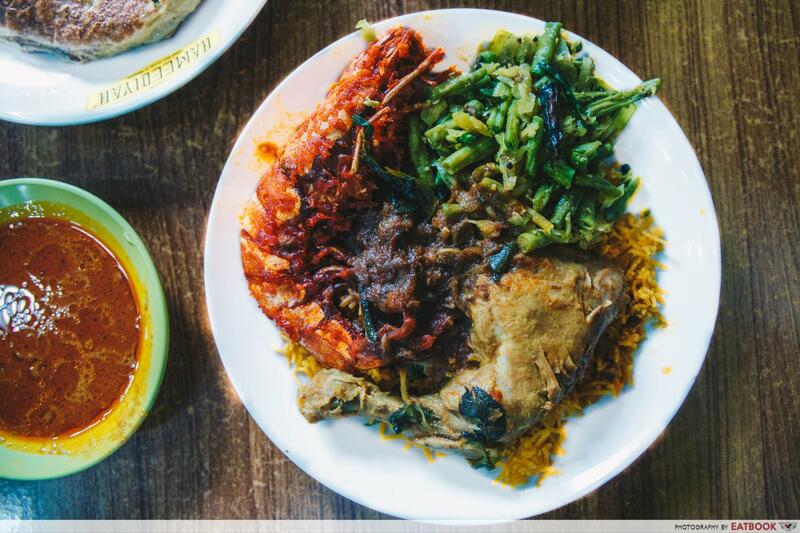 Originating from Penang, nasi kandar is a popular go-to for many locals. 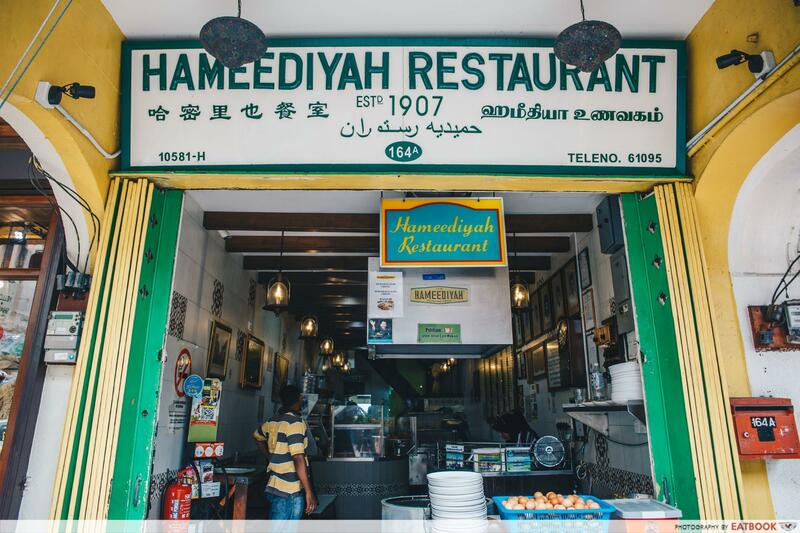 And operating since 1907, Hameediyah Restaurant has been named the oldest nasi kandar restaurant in Penang. Other than the usual steamed rice and side dishes, they also have other signatures in the menu such as murtabak, beef rendang, and mutton kurma. We opted for briyani rice (RM4+/~S$1.34) instead of white rice, chicken curry (RM6+/~S$2.01), and vegetables (RM1.50+/~S$0.50), which were recommended by the staff there. The curry definitely did not disappoint as it brought life to the rice and tender chicken thigh. The deep-fried tiger prawn (RM30+/~S$10.05) also caught our eyes with its bright orange colour and extra large size. Though pricey, it was surprisingly fresh and sweet. 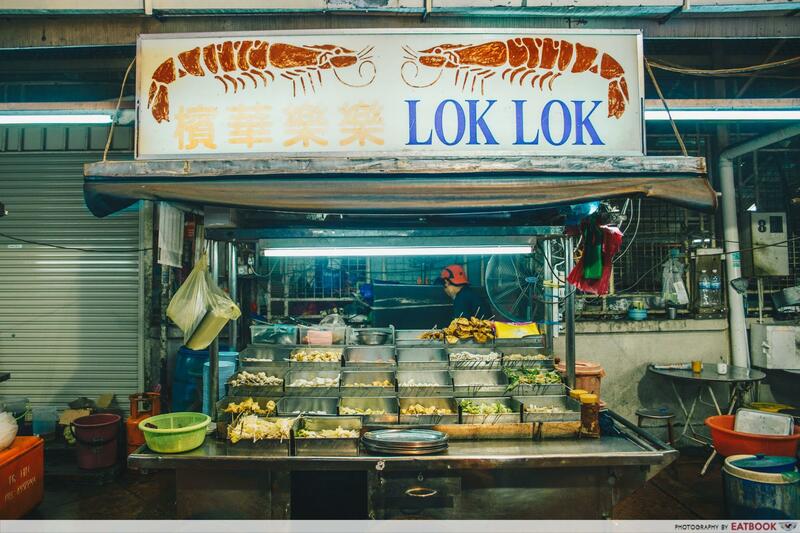 End your day rubbing elbows with the locals at Peng Hwa Lok Lok. This is where many head to for supper, without having the need to worry about burning a hole in their wallet. Make your own concoction of dipping sauce by mixing a number of sauces such as satay sauce, chinchalok, sambal sauce, green chilli sauce, and minced shallots together. 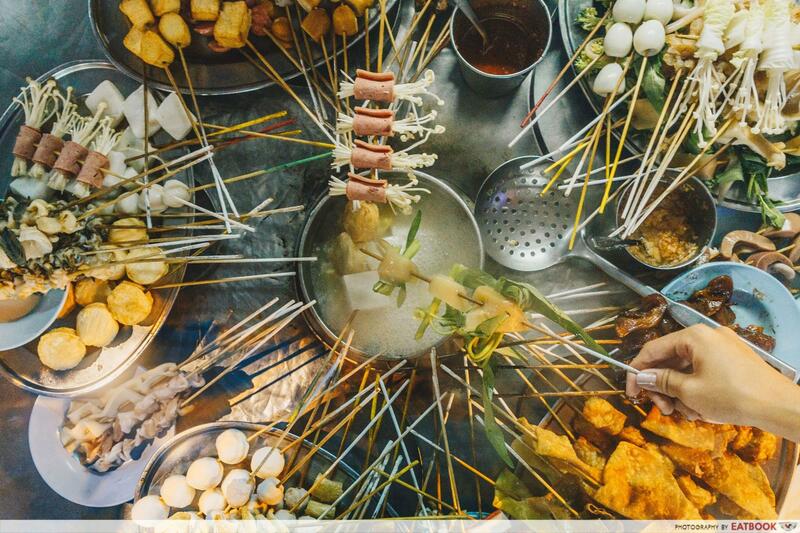 Do not let the wide array of lok lok sticks on the table make you giddy. Priced from RM1/~S$0.34 to RM1.80/~S$0.60 according to the colour painted on the ends of each stick, take your pick and throw them in the boiling water for a few minutes. You can find items such as soft fish cake blocks, enoki mushroom wrapped in ham, octopus, sea snails, and even pig’s intestines. The weather in Penang is almost exactly the same as sunny Singapore’s. 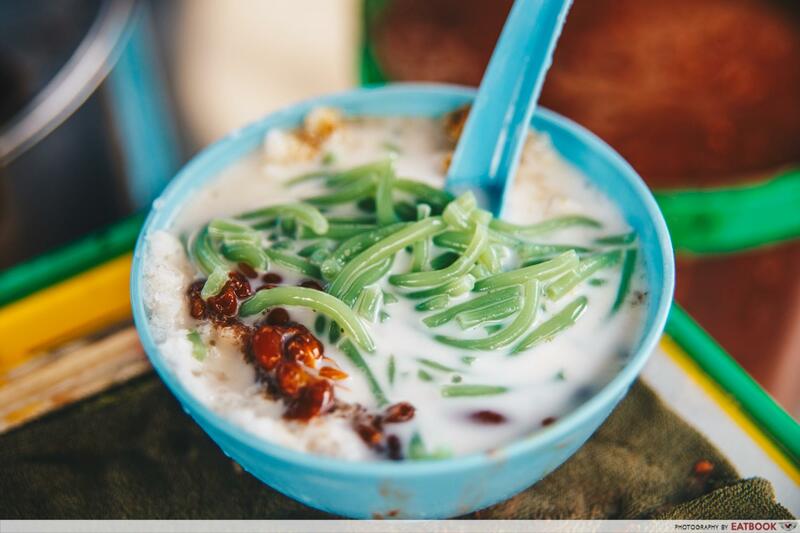 Make sure to grab a bowl of Penang Road Famous Teochew Chendol (RM3/~S$1.10) to combat the heat. Give the sweet iced dessert a good mix, or enjoy the different components of the dish by itself. It is hard to find chendol that is as good as this one in Singapore. 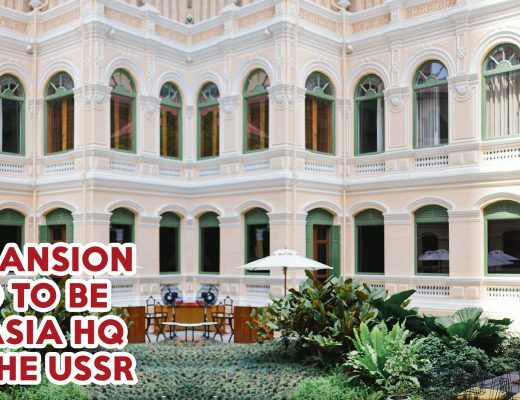 This is the place to go for a short and wallet-friendly getaway with both family or friends. 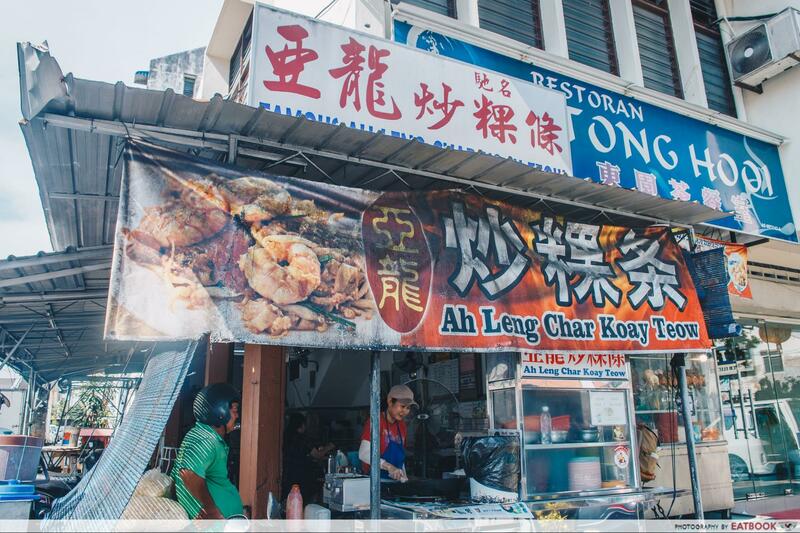 Places to eat in Penang are aplenty, but these hawker spots are definitely worth a visit. If you’re already planning for a trip here, check out this adorable corgi cafe or things to do in Penang!